Apple Clean provide a wide range of cleaning services for properties in Farnham and throughout the UK. 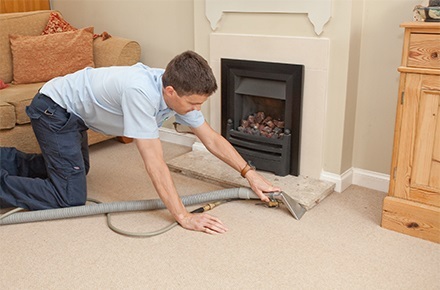 If you need professional stain removal and carpet, upholstery and in-situ curtain cleaning in Farnham for your home or business, contact the company committed to a personal, first-rate service: Apple Clean. For a professional and affordable service contact us today! Hi, I’m Jonathan and for over 25 years I’ve been supplying carpet, curtain and many other cleaning services to homes and businesses in and around Farnham. My beliefs have always been that the best way to success with a local business is to offer an exceptional service which is both professional and personal, giving great customer service and achieving excellent results. Give me a call today and I’ll explain what we can do for you and I’ll give you honest and realistic advice. At the same time you can get an instant no-obligation quote. We are very proud members of the Check-a-trade scheme as it enables you to see certified and genuine reviews from past customers in and around Farnham. Give us a call us now on 0800 587 4571 find out more about the cleaning services we provide to homes across Farnham and how we can help you. Apple Clean is a locally based independent business with many years’ experience providing expert and reliable cleaning services to homes throughout the South East including Farnham and the surrounding areas. We focus on complete customer satisfaction and take pride in doing an excellent job every time. Health and hygiene is incredibly important so we understand how crucial it is to have a professional, reliable cleaning service available whenever you need it. 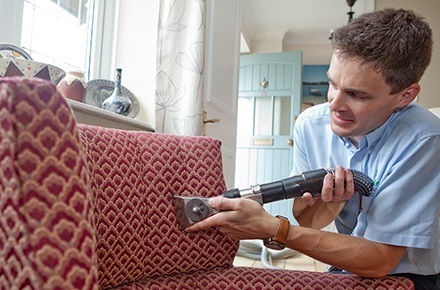 Our expert team of cleaners have extensive experience handling a huge range of different materials, fabrics, finishes and upholstery and can select the perfect cleaning solution to deal with your tough stain or mould problem. In many DIY cleaning situations you may not have an extensive knowledge of the fabric you are trying to clean and this can lead to complications and even damage when choosing the right solution. With the professionals at Apple Clean you get great results, every time. We use the latest and greatest products and technologies to ensure that your carpet or upholstery remains clean for longer, whether you have requested stain removal, you want a deep clean at the end of a tenancy, you want animal hairs or fur removed or you’re just looking for a routine clean. 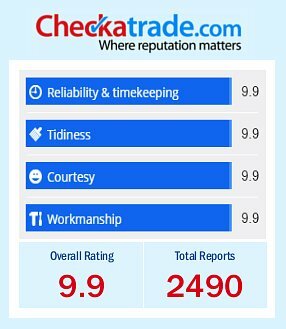 As proud members of Checkatrade we take every job seriously and take pride in providing an expert and professional service at a competitive rate. 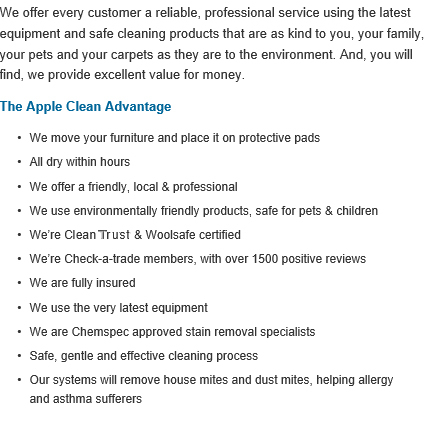 Apple Clean provides fast, reliable assistance, whether you suffer from allergies or you need harmful dust or mould removing we will ensure that all carpets are professionally cleaned, leaving you with a fresh looking and clean smelling home. Leave it to the professionals and save time and stress by getting your carpet or upholstery professionally cleaned by the experts at Apple Clean! Whether you are looking for a routine clean or you want expert stain removal, Apple Clean can help. For more information or to contact us for a quote you can call Jonathan on 0800 587 4571 where we will be happy to help. You can also contact us by filling in the form on the Contact page with your details and your query and we will get back to you as soon as possible. With over 20 years’ experience providing professional cleaning services throughout Farnham and the surrounding areas, have confidence in the skills of the team at Apple Clean. We look forward to hearing from you soon. OdihamWe also cover all surrounding areas.